VIAVI is proud to announce CERTiFi, a cloud-based solution for teams who design, build, test, and certify structured cabling in enterprise networks. 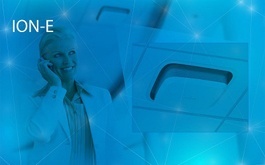 Find out how Commscope's innovation, designed around IT-based structured cabling architecture is friendly to both wireless operators and business enterprises. 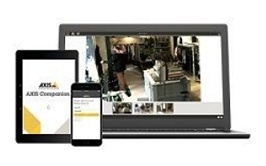 Aixs Communications, carried out a survey to establish small business owners’ key challenges regarding video surveillance and how they believe it could be improved. 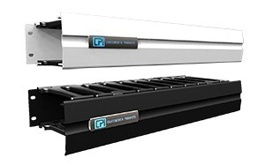 CPI has released a dedicated horizontal pathway to organise and store cables above and below patch panels and network switches. This small, Point-to-MultiPoint, high capacity subscriber unit is ideal for installations where space is limited such as busses or metros. 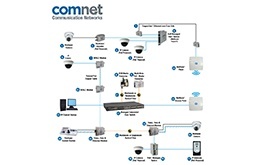 Download Comnet's Infographic highlighting their analogue and digital transmission solutions. Milestone introduces hardware accelerated video motion detection - a new technology that helps lower organisations' total cost of ownership. 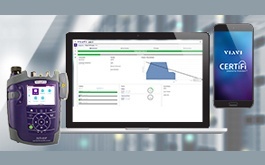 The portfolio includes a technology that offers advanced tools necessary for management of IP-based powered devices. 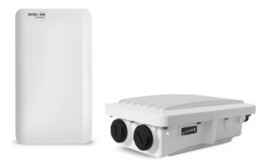 The MicroDome Duo reduces the number of cameras required for a wide range of applications by providing high definition video of two areas at once. The need for Connected Infrastructure of Tomorrow is approaching faster than you think. With the Internet of Things (IoT) there are new and critical considerations to think about as one prepares for what's ahead.